Nashville ranks No. 10 on Forbes’ list of Best Places for Business and Careers, released this week. One major factor in Nashville’s favor is that business costs here are 18 percent below the national average. 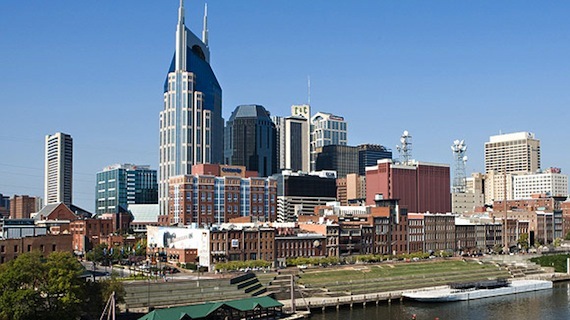 Music City also benefits from a projected annual job growth rate of 2 percent. The 200 largest metropolitan areas in the U.S. are considered for the rankings. Nashville’s metro population is 1,620,600. Ranking factors include job growth, costs (business and living), income growth, educational attainment, projected economic growth, crime rates, cultural and recreational opportunities, migration patterns, and the number of highly ranked colleges in an area. Topping the 14th annual list is Provo, Utah with a $16 billion economy boosted largely by Brigham Young University. Most of the top-ranked cities were from America’s heartland, not the coasts.